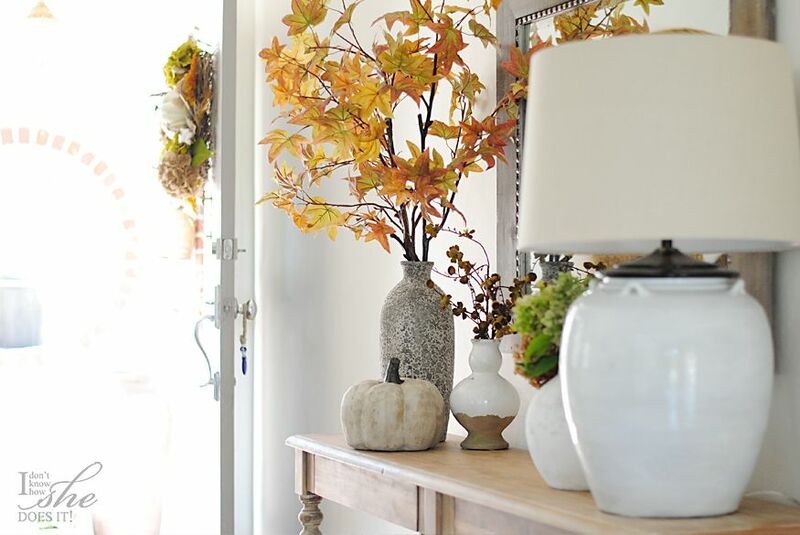 Sources: lamp, Fall leaves branches and hourglass vase from +Pottery Barn, mirror, tall glass and pumpkin from +HomeGoods, foyer table from +Cost Plus World Market. 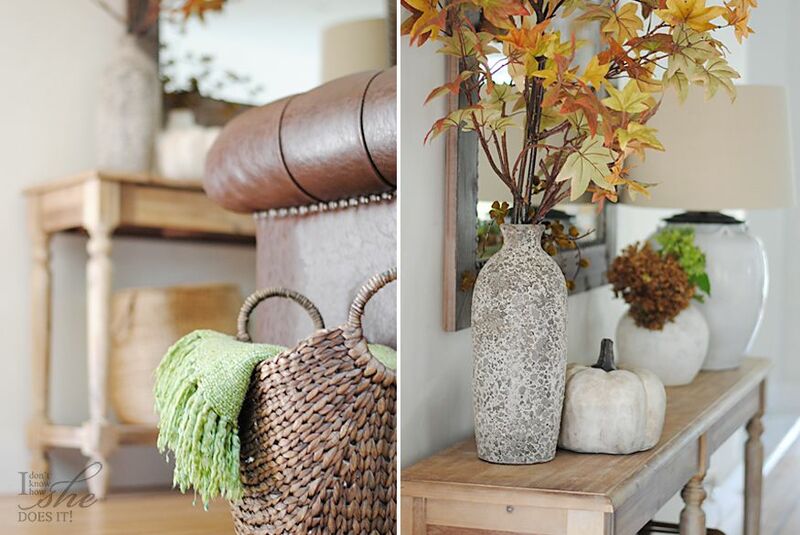 I’ve been dreaming of Fall decor since April (and I’m not kidding). This fact about me might surprise you but Autumn decor brings a feeling of coziness, calmness and relaxation that no other season has upon me. By now you should’ve noticed how big of a fan I am of comfort ambiances so knowing that Fall is just around the corner made me anxious and aching for an autumnal decor. Here are some snaps of how things are starting to change around here. Sources:(left) basket from HomeGoods, sofa from +Home Decorators Collection, blanket from +Target; (right) lamp from +Pottery Barn; mirror, tall glass and pumpkin from +HomeGoods, foyer table from +Cost Plus World Market. 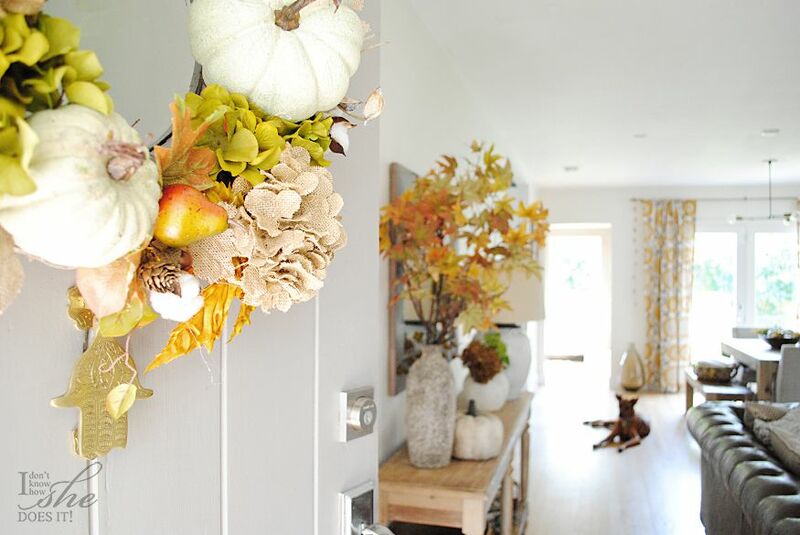 Although this is not the end of my affair with Autumnal decor, I certainly hope that this start has inspired you to begin decorating for this upcoming season. 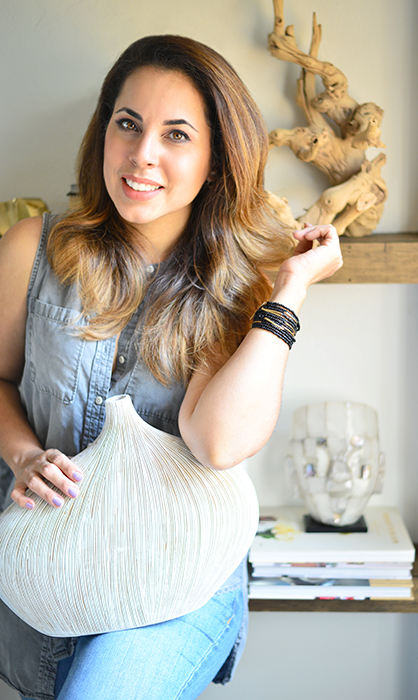 And as always, I love reading your thoughts on my decor and your Fall ideas. 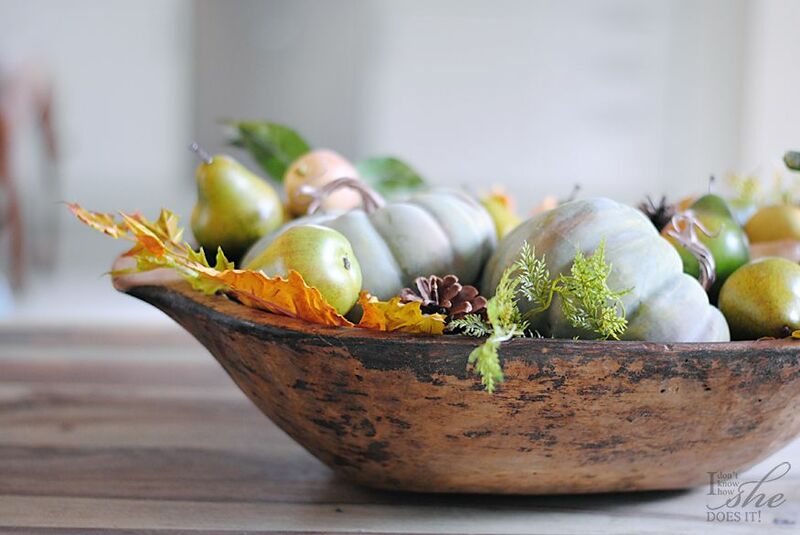 Dough bowl from PotteryBarn, pumpkins from Costco Plus WorldMarket, foliage from +Jo-Ann Fabric and Craft Stores. Remember you can always find me (almost daily) on Instagram and Facebook for more design and decor ideas for your home. Thank you so much Silvia. I really appreciate your words and your visit. Have a beautiful day!